Earlier this year, Nintendo announced that VR functionality would be heading to the Nintendo Switch. 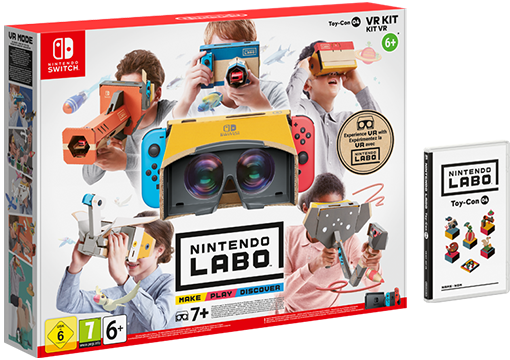 Provided by a Nintendo Labo kit called the Nintendo Labo: VR Kit, it was a very ‘Nintendo’ like idea through and through, replacing the clunky peripheral and console redesign idea with a simpler Google Cardboard esque approach. However, with the limited power of the Switch’s hardware and the lack of content provided by your average Labo game, it also brought quite a bit of scepticism. 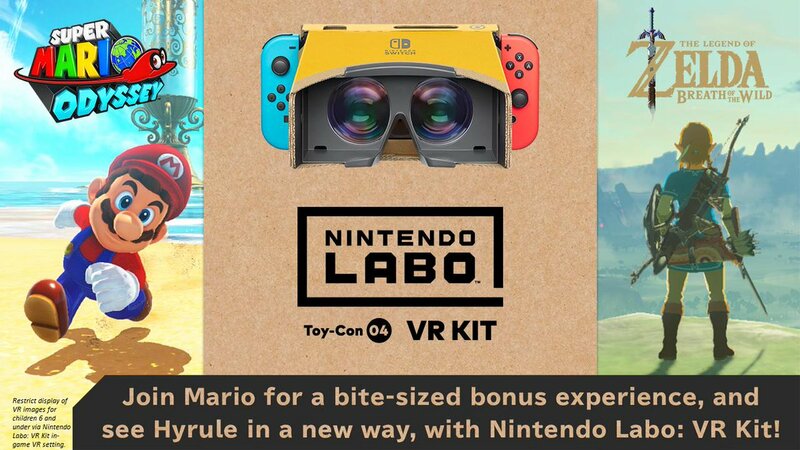 After all, a cardboard box is a long way away from a dedicated headset, and with Labo’s lack of content in the past, people questioned where the included software would be enough to keep it relevant for more than five minutes. Fortunately though, it seems help is at hand for at least one of those issues! That’s because while the Switch certainly isn’t getting more powerful anytime soon, the VR Kit is in fact being updated to add compatibility with more Nintendo Switch games. Namely, Super Mario Odyssey and the Legend of Zelda Breath of the Wild. Admittedly it’s not exactly a fully immersive experience, and compared to most VR games, unlikely enough to make you feel like you’re the character themselves. The game’s still in third person after all, and your perspective is more akin to that of a close friend or observer than the hero themselves. But it’s still pretty neat none the less, and given the lacklustre mini games most Labo kits come with, a bit more meaty than your typical tech would be. And hey, given it adds content to Super Mario Odyssey, you could even say it’s the game’s first real level DLC too. So check it out if you’re interested, and maybe considering giving it a shot when it releases on April 25th. It’s a new way to experience these games after all.